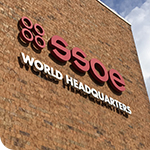 TOLEDO, Ohio, August 8, 2016 – SSOE Group (www.ssoe.com), a global project delivery firm specializing in architecture, engineering, and construction services, is proud to announce that they have signed a new five-year lease that will allow their world headquarters to remain in downtown Toledo, Ohio. The announcement was made in conjunction with the celebration of their 68th anniversary and being named a “Great Workplace.” SSOE employs 400+ professionals in their downtown Toledo location with an additional 600+ located around the world. 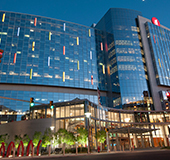 As a Top 10 Engineering / Architecture firm, SSOE has more than 25 offices globally including five locations in Ohio; and international office locations in Shanghai, China; Mumbai, India; and Leon, Mexico. They have completed projects in more than 40 countries as well as here at home. 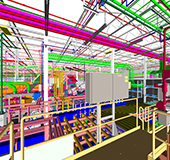 Over the company’s 68-year history, they have earned a reputation for providing quality project solutions to chemical, glass, healthcare, power, and general building industries and have been consistently ranked as a top 10 provider of design services to the automotive, semiconductor, food and beverage, and manufacturing sectors. They were recently named a “Great Workplace” by the Great Places to Work organization, adding that to their distinction as one of the “Best AEC Firms to Work For” previously awarded by the publication Building Design + Construction. Their commitment to the community goes well beyond the local tax dollars. 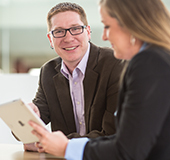 SSOE is a strong supporter of the United Way and dozens of local charities. They also enjoy an invaluable partnership with local universities, including Owens, Bowling Green, and the University of Toledo. 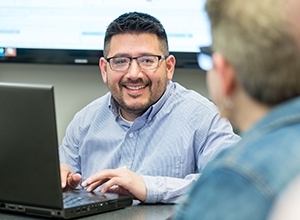 In addition, businesses like SSOE play a large role in expanding Toledo’s position in the growing knowledge-based economy—by helping to attract and retain highly-technical, highly-educated workers. They employee nearly 150 UT graduates alone as well as an average of 40 co-ops / interns at any given time. 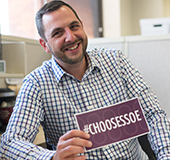 Since 1999, SSOE has provided over 500 co-op/intern placements. 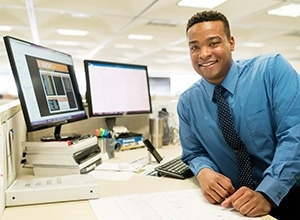 SSOE is committed to the success of UT’s College of Engineering (COE) and its students, donating nearly $700,000 over the past 10 years, including three endowed scholarship programs for COE students. Moreover, they have given over 150 scholarships of more than $65,000 to SSOE co-op / intern employees.